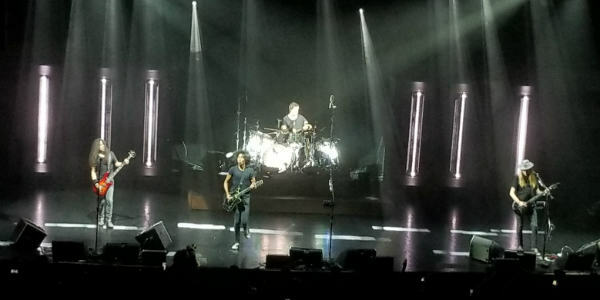 On the evening of October 27th, Hard Rock Live at Universal Studios Orlando CityWalk was the site of the much-awaited return to Central Florida of Alice in Chains, and it was an incredible night. 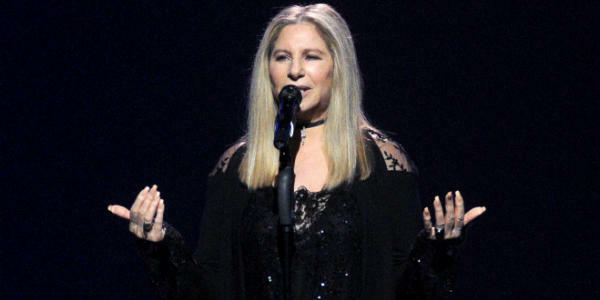 The legendary Barbra Streisand played the Amalie Arena in Tampa last night (November 30, 2016), and completely wowed the audience with her voice. Her tour, BARBRA: THE MUSIC…THE MEM’RIES…THE MAGIC!, is her first in four years, and she drew upon her immense catalog of songs during the show. 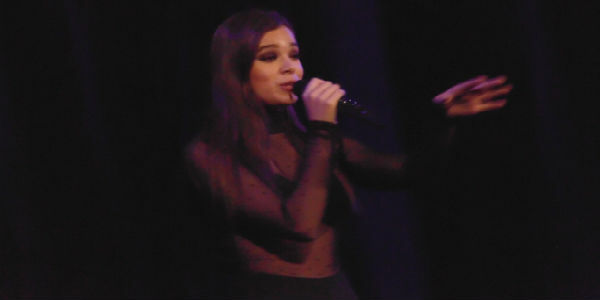 On Sunday night, I found myself at the CFE Arena about to watch singer/actress Hailee Steinfeld take the stage to perform. It is just human nature that we are a nostalgic group of beings, it is easy for us to be carried back to memories of our childhood through TV shows, books and music. We can sit on the couch for hours mesmerized by a “M*A*S*H” marathon on television, and how many of us get sucked in when The Godfather is on? I, for one, could listen to music from the 70’s and 80’s on an endless loop, never again tuning into hip hop or whatever they call music nowadays. Watching a performer smash cake into an enthusiastic fan’s face sounds like something that would happen at a Blue Man Group show, not an EDM concert. But when the EDM performer in question is Steve Aoki, all bets are off. 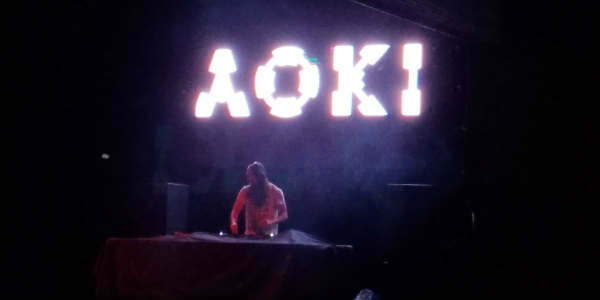 On June 30, 101.9 AMP Radio‘s Electric Bounce House packed the House of Blues Orlando with local and visiting EDM fans for an extended lineup of DJs performing, finishing the evening with headliner Aoki and the popular singer Bebe Rexha. 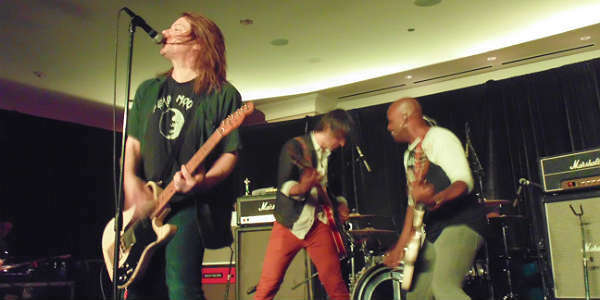 Every month (except November and December), the Hard Rock Hotel at Universal Orlando hosts a concert series called Velvet Sessions, and October’s band was Soul Asylum. Seeing a show at Velvet Sessions is akin to seeing a band in a small club, as the stage is actually set up in the hotel’s lobby. 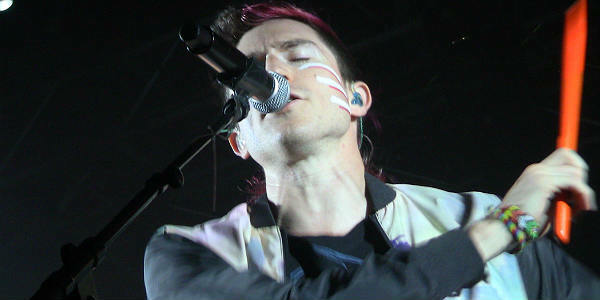 The lights went down at the House of Blues and Walk the Moon takes the stage. As the adoration of the packed crowd calms down slightly, the band launches into a rendition of “Circle of Life” by Elton John. Fitting since they are on Disney property. The crowd appears slightly bewildered but rises to occasion to sing along by the time the band gets to the chorus. This past Sunday, my friend Joan and I made a day trip up to St. Augustine. Our primary goal was to see one of our favorites, Bryan Adams, in concert at the St. Augustine Amphitheatre, but we figured we’d go early and try out one of their restaurants. We left around 2pm and got up there just before 4pm, slowed slightly by a thunderstorm en route. But as we rolled into the Historic Downtown area, it was sunny skies. My connection at the St. Augustine CVB recommended A1A Ale Works as a restaurant to try, citing their craft brews and water-side dining. The restaurant is actually upstairs in a converted building on the corner next to the historic Bridge of Lions, with a bar area downstairs. 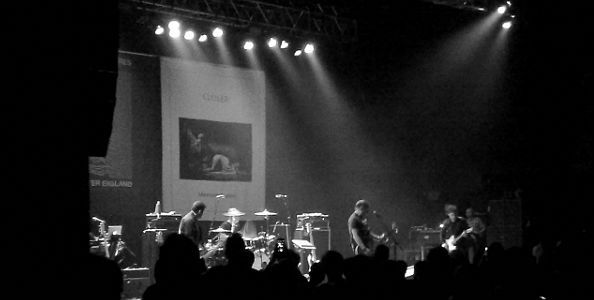 Seeing Peter Hook and The Light live at the Plaza Live was like taking a trip back in time. 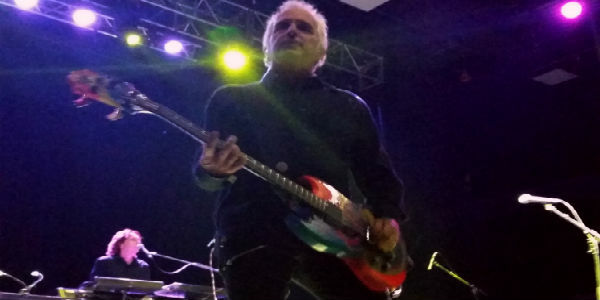 The calendar may have said it was April 19, 2015, but the music said it was the 1980s. That’s because Hook was co-founder of the bands Joy Division and New Order, and his show incorporated plenty of songs from those bands. In 1990 Extreme‘s Pornograffitti album came out, and I was blown away by how good it was from start to finish. 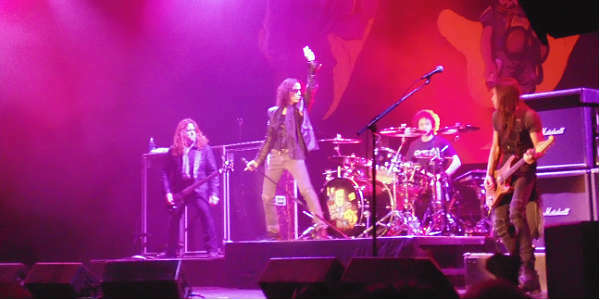 It was rock with a touch of funk and a lot of attitude, with some beautiful ballads thrown in. Flash forward 25 years, and I’m waiting inside the House of Blues Orlando, waiting to hear Extreme perform the entire Pornograffitti album live. Yes, I’d heard most of the songs live in various concerts over the years, but this would be the first time I would hear the album played all the way through. 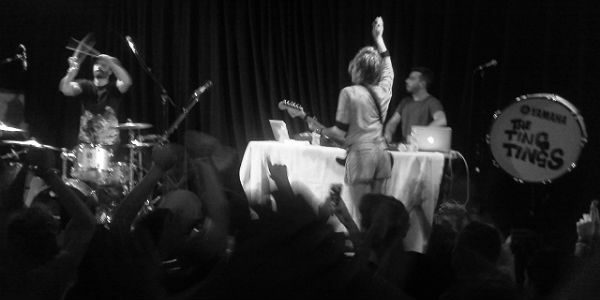 UK electro-pop duo The Ting Tings made a stop in Orlando on April 14, 2015, and The Social was packed with fans. The big surprise is the duo was actually a trio on stage. They had a third touring member to assist with all the electronic sounds. Ever go to a concert knowing nothing about the opening act, and then they blow you away with their performance? That happened to me this week when I saw KANEHOLLER at The Social on April 14. KANEHOLLER was the opening act for The Ting Tings, but this duo brought it like they were headliners. Last week, I took in this month’s edition of Velvet Sessions at the Hard Rock Hotel Orlando to see one of my favorite musicians of all time: Howard Jones. The Velvet Sessions take place the last Thursday of the month (most months) in the intimate setting of the hotel’s lobby area. The seating is removed, bars are set up around the side and back from the stage, which occupies one wall. This past Sunday evening, Hard Rock Live Orlando was THE place to be for the kickoff of The Very Best of Celtic Thunder Tour 2015 in North America. The 3,000-seat venue was sold out with “Thunderheads” (as their fans are called) who were more than ready to hear “the boys”, Ryan Kelly, Neil Byrne, Emmett O’Hanlon, Colm Keegan, Keith Harkin and Special Guest Artist (and former founding member) Damian McGinty do what they do best. 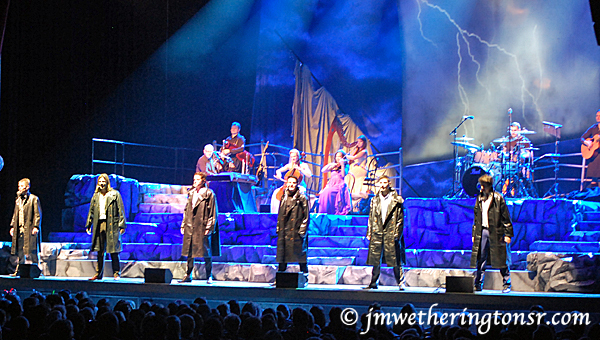 Celtic Thunder at Hard Rock Live Orlando. 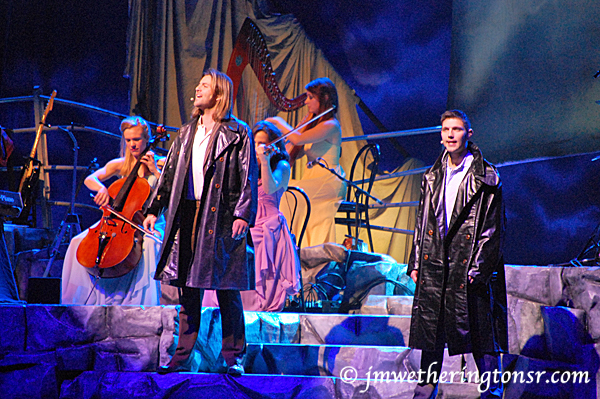 Left to right: Keith Harkin and Colm Keegan. House of Blues Orlando witnessed synth-pop is alive, and doing quite well, with iconic 1980s band Erasure on Saturday September 13. 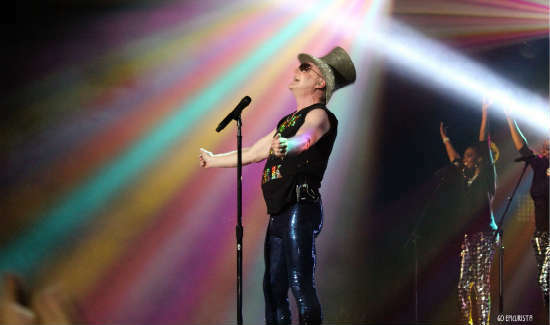 Orlando, the second city of ‘The Violet Flame’ 58-stop tour, welcomed Erasure with open arms. The tour, promoting their 16th studio album, runs through December. The album is due September 23. Listen to an early preview here: soundcloud.com/erasureinfo/the-violet-flame-continuous-dj-mix/ or scroll down to hear it. 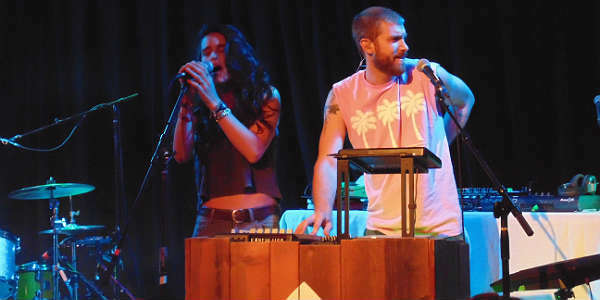 Opening act NINA, supported with strong percussion and vocals by Laura Fares, stayed in line with the synth beats the crowd was there for, yet paired them with spiritual and soulful voices that gave us a trance-like, almost ethereal feeling. Their music, described as a blend of dream pop / moody disco, with songs like ‘Dark Rider’, ‘We Are The Wild Ones’ and ‘Sweet Surrender’, got us started on this retro-modern kind of evening.